India and Japan are keen to further strengthen defence and security cooperation under the framework of the “Japan-lndia Special Strategic and Global Partnership”. 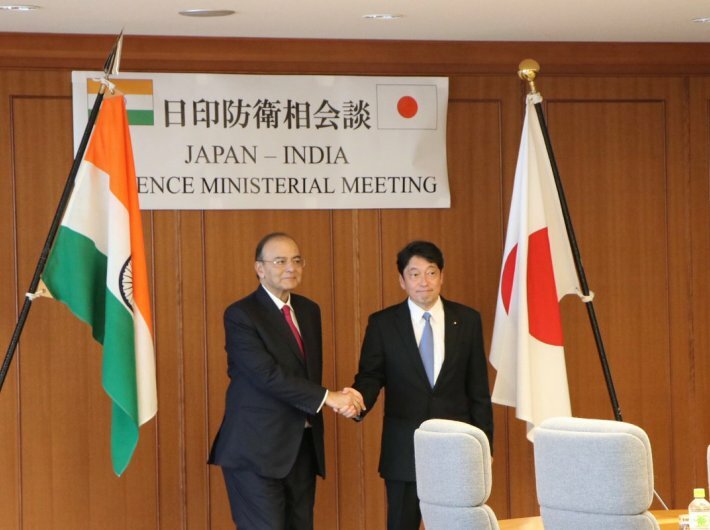 Arun Jaitley met his Japanese counterpart Itsunori Onodera during the September 5 – 6, India-Japan Annual Defence Ministerial Dialogue. The defence ministry is now headed by Nirmala Sitharaman. Dual use technology is normally used for civilian purposes but which may have military applications. It was also decided in the meeting that Japan Ground Self Defence Force (JGSDF) would invite Indian armed forces personnel to participate in an exercise conducted by JGSDF as observers. In the context of enhanced co-operation between the two ground forces, the ministers decided to explore a joint field exercise in the field of counter-terrorism between the Indian Army and the JGSDF in 2018. Japan’s defence minister will visit lndia in 2018.